Rule Britannia, Britannia rules the waves! Presented by Captain Thomas Masterman Hardy, of HMS Victory. 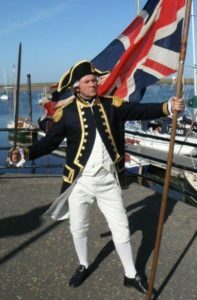 An indepth look at life aboard a Ship of the Line during the Wars against Napoleon, culminating in the Victory at the Battle of Trafalagar in 1805 where Lord Nelson was slain.